Salmonella is no joke. In 2007, before my chicken-keeping days, a friend and I were sickened with salmonella when we ate undercooked chicken at a restaurant in Lexington, Ky. Food poisoning hit each of us 18 hours later, and I’ve never been so sick in my life. 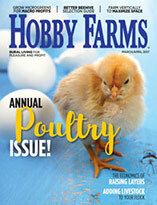 The Centers For Disease Control and Prevention now warns that we chicken keepers might be careless with our flocks, endangering ourselves for making snuggly pets out of farm animals. I certainly don’t kiss my hens, but I do snuggle them on occasion. Does that put me in danger? I don’t think so. According to the CDC, salmonella makes 1,000,000 people sick each year. Of those, 19,000 people are hospitalized (1.9 percent), and 380 die (0.038 percent). These are victims of food poisoning from infected undercooked chicken and eggs from antibiotic-resistant strains that whip through factory farms. The CDC says 180 people have been sickened with salmonella this year because of close contact with their chickens (0.018 percent of total annual illnesses), and 33 of those were hospitalized. What I’ve noticed lacking in the reports is any information about what foods these chicken keepers might not have cooked properly, or if their chickens tested positive for the bacterium. 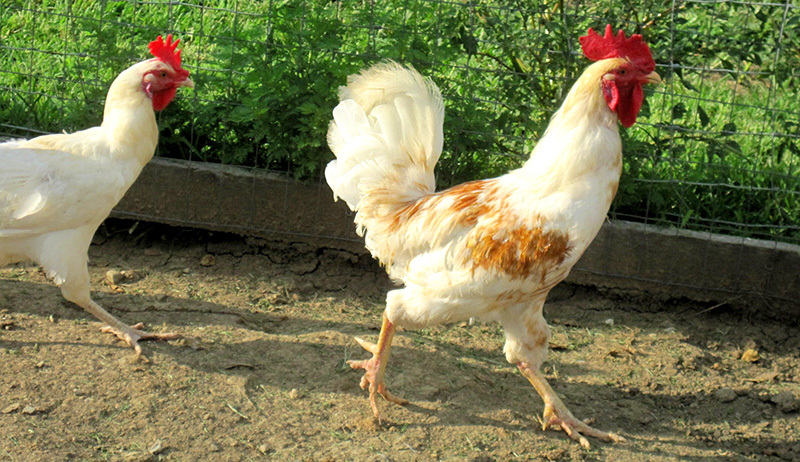 The CDC’s website has information for the chicken keeper that treats the backyard chicken a bit like a ticking time bomb. It recommends that children under the age of 5 not be allowed to handle any chicken duties; for keepers never to allow chickens in places where food or drinks might be served, including a patio; and to assume that all live poultry is infectious. If you’re not already hosing off your patio and washing outdoor tabletops before eating, you should start now. This is common sense, like not kissing birds. Salmonella doesn’t always make chickens sick. As such, the CDC advises that we not cuddle/handle our hens. But, we cannot provide our hens the basic healthcare they need and deserve without handling them. What the CDC fails to mention is that humans cannot be infected with salmonella by contact alone. When we are infected with salmonella, we have to ingest it. You contract salmonella by eating infected undercooked meat, infected undercooked eggs and microscopic particles of infected feces. Wash your hands after handling your chickens, lest you inadvertently touch your mouth. This is also common sense. Factory-farmed egg layers are packed into itty-bitty cages stacked to the rafters, and meat birds stand wing-to-wing by the thousands. These environments spread disease very quickly. In the case of salmonella, it spreads through environmental contamination with infected feces. These animals have no chance of receiving individual attention, basic care or even fresh air. They’re also fed antibiotics in an attempt to thwart disease, yet salmonella evolves to resist the medication. Because of their controlled environments, constant stress and absence of other naturally occurring pathogens, their immune systems are artificially depressed. 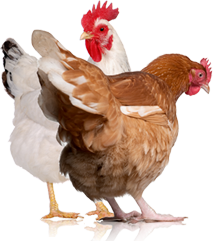 Your backyard chickens either roam on fresh grass or have a healthy amount of confined space per bird. They eat insects, they’re exposed to small amounts of a variety of pathogens on a regular basis, and you clean their home. 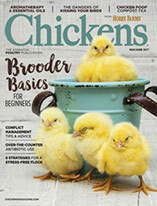 Your chickens’ immune systems are strong simply because of your care. Growing one’s own food in the dirt and raising one’s own chickens for meat and/or eggs is the very best way to reduce or eliminate one’s exposure to dangerous strains of antibiotic-resistant bacteria like salmonella. Raising food increases human exposure to small amounts of naturally occurring pathogens that exercise and strengthen our immune systems, just like our backyard chickens’. Of those sickened each year, the majority of them are consumers of factory-farmed chicken and eggs. Being sickened by salmonella from backyard flocks is possible, but you can avoid it by washing your hands and keeping your lips to yourself.